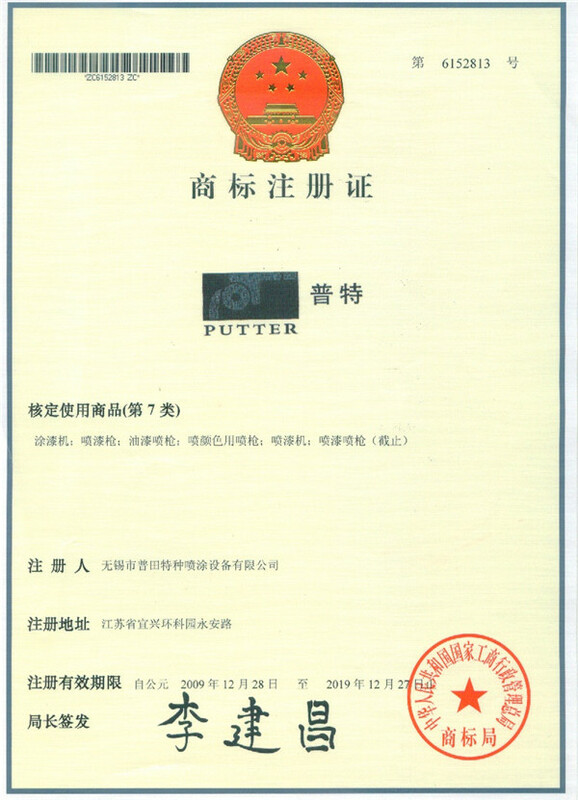 Company Overview - Wuxi Putian (Putter) Special Spraying Equipment Co., Ltd.
5YRSWuxi Putian (Putter) Special Spraying Equipment Co., Ltd.
Wuxi Putian Special Spraying Equipment Co., Ltd. is located in Environment Science & Technology Zone, Yixing City-the beautiful capital of pottery. 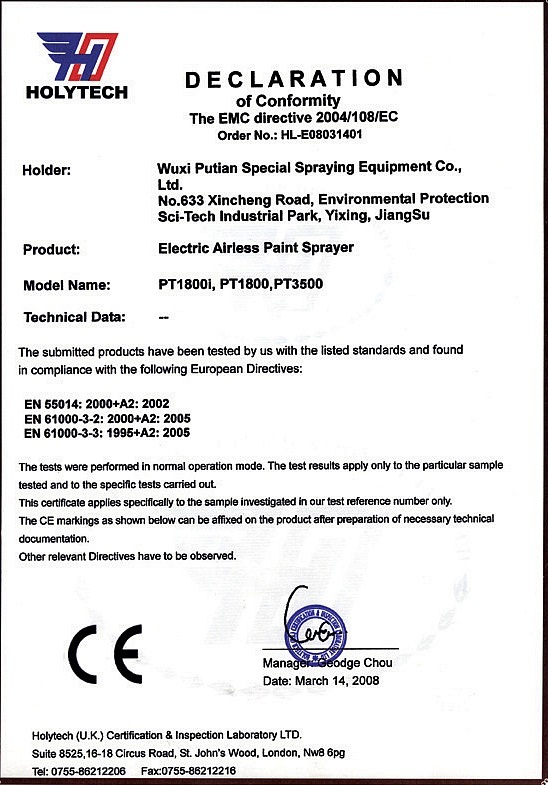 The company is a sole proprietorship specializing in designing and manufacturing high pressure airless sprayer. 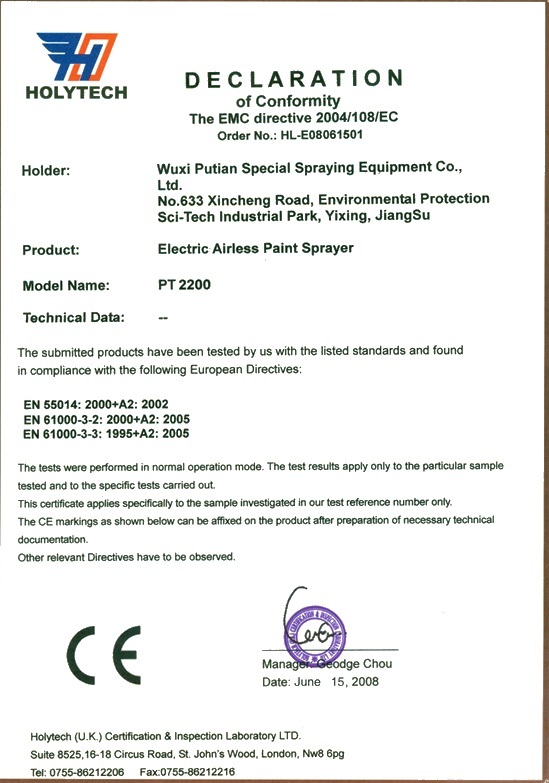 In 2000, our company introduced production techniques of German Wagner high pressure airless sprayer, and began to engage in manufacturing portable electric high pressure airless sprayer. 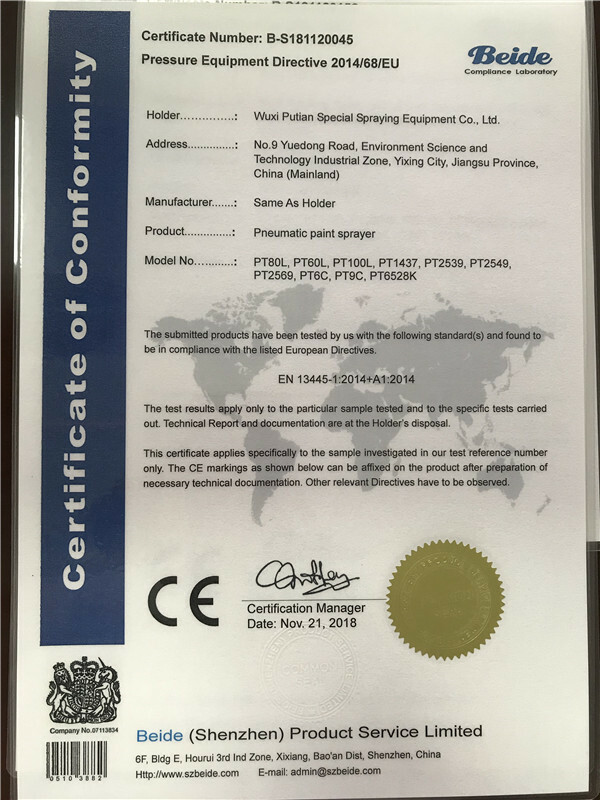 High pressure airless sprayer of our company is controlled by microcomputer chips and features excellent performance, stable quality and advanced level at abroad. 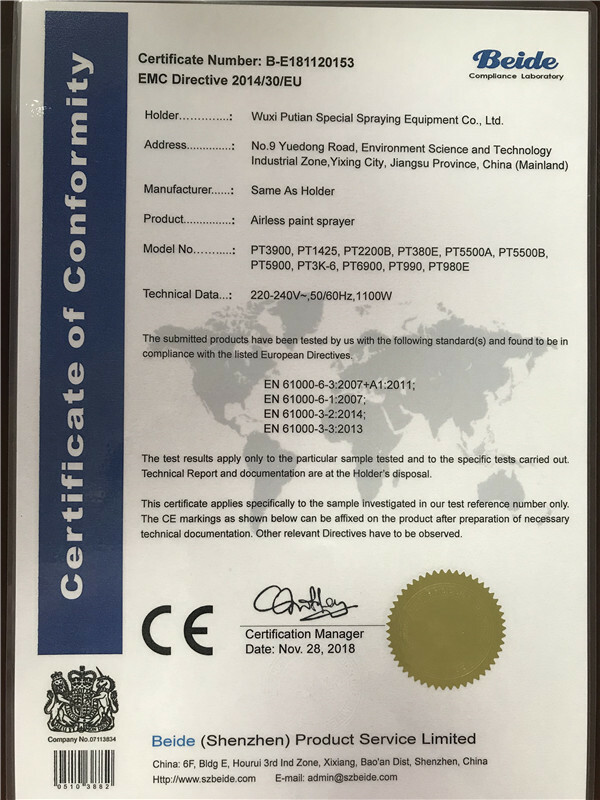 This sprayer boasts advantages such as compact structure, light weight, convenience for carrying, low noise, strong atomization, smooth coating, easy operation and high efficiency. 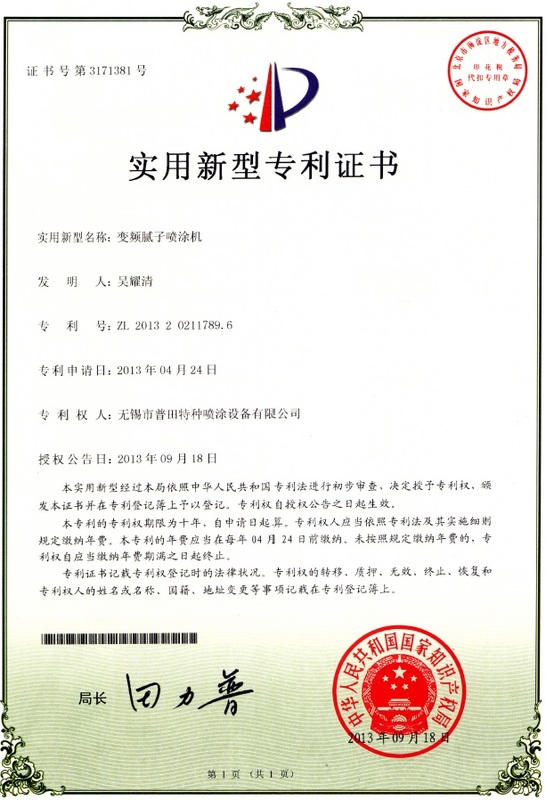 It is mainly applied in spraying wall surfaces and metal surfaces. In particular, this machine is suitable for surface spraying of internal and external walls, office building, villa and hotel in modern architecture and decoration industry, as well as construction equipment in shipbuilding, steel structure and bridge. Such airless sprayer is ranked among one of the essential tools for modern surface spraying. We fully understand that quality and service play fundamental roles in the survival and development of enterprise. We devote ourselves into pursuing high-quality products and satisfactory services. 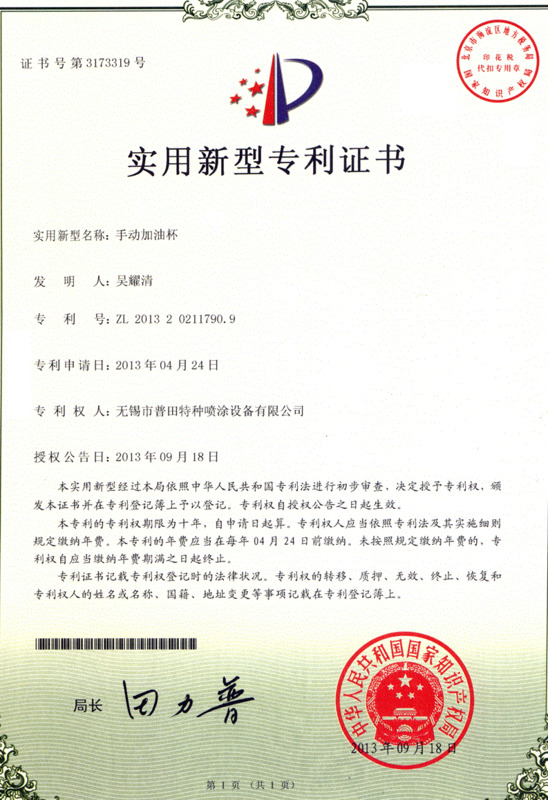 We always keep informed of customers' requirements, make every effort to satisfy them, and overcome deficiencies. Moreover, we highlight quality and after-sale service of products. All your visits and suggestions are sincerely welcomed! 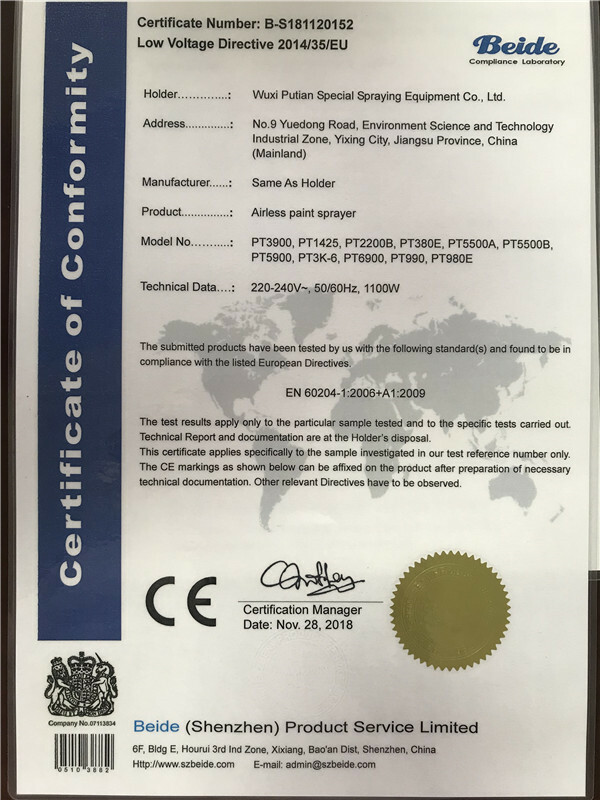 Holytech(U.K.) Certification & Inspection Laboratory LTD.